At Scotmid Funerals, we understand that arranging a funeral for someone close to you is a difficult experience. That is why we’ll guide you through everything involved, from the practicalities to planning a truly personal service. 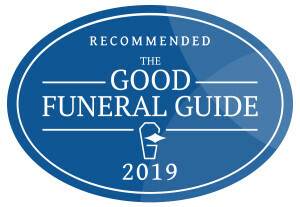 We’ve been carrying out funerals since 1927 with premises across the city – and beyond – and you can contact us whenever you need us, day or night. We’re part of Scotmid Co-operative Society, founded in Edinburgh in 1859. As a co-operative we focus on the needs of the people we serve, not the demands of shareholders. We’re proud to be at the heart of the communities we serve and are committed to being open, honest, ethical and professional at all times. You can find out more about Scotmid here. Scotmid is owned by a membership of over 250,000 so becoming a member gives you the opportunity to truly be part of something bigger! Members have the opportunity to have a say in how Scotmid is run, ensuring Scotmid remains at the heart of Scottish communities. Click here to find out more.